The affordable housing crisis continues in the Washington region, but people from different generations are feeling its effects differently. We explore the specific housing needs of people from different age groups, including youth, millennials, Generation X’ers, baby boomers and seniors, and ask how different jurisdictions are trying–or failing–to meet them. MICHAEL SCHAFFERAnd you're tuned into The Kojo Nnamdi Show. I'm Michael Schaffer from Washingtonian Magazine, sitting in for Kojo. So, maybe you've heard, the rent is too damn high. For that matter, so is the down payment and the mortgage. We're in a region marked by towering housing costs. That's in buzzy city neighborhoods and stable suburbs and everywhere in-between. But the thing about Washington's affordable housing crunch is it's not affecting everybody in the same way. And sometimes, it's setting us against each other. A suburban politician recently set off a backlash by saying he'd stand up against new housing for millennials. A lot of younger people, as you can imagine, think affording a place to live is one of their biggest challenges. So, today, we explore the specific housing needs of people from different age groups: millennials and boomers, singles, families and empty nesters, and people living in the sorts of intergenerational arrangements that planners never used to think about. MICHAEL SCHAFFERGenerations all have their own unique housing needs, and today, we'll explore how different jurisdictions are trying to meet them, from changes in zoning and accessory dwelling units, to designing spaces for people raising their grandchildren. And we will have a slew of guests. We are joined today by Lisa Govoni. She's a housing planner at the Montgomery County Planning Department. Alex Baca, who is at the Coalition for Smarter Growth. Payton Chung, who is a director at the Urban Land Institute and an editor for Greater Greater Washington. And Andrew Yarrow, who's a former New York Times Reporter and author of a recent Washington Post Magazine story about grandparents raising grandchildren, “Rise of the Grandfamilies.” Welcome to the show, folks. LISA GOVONIThanks for having us. PAYTON CHUNGThanks for having us. SCHAFFERSo, Lisa, I want to start with you. A few weeks ago, a Montgomery County executive, Mark Elridge, said, quote, “I am going to be dead set opposed to anybody who proposes knocking down existing affordable housing to build housing for millennials, you know, people making 60, $80,000.” He later walked back that statement saying he should've phrased it more in terms of income level than age. So, I think a lot of people have an image in mind of ultra-lux apartment with, like, an infinity pool and, like, a concierge for your dog, or whatever, but I don't think that's the whole reality here. SCHAFFEREven for the income levels that he was talking about. Can you give us a sense of what the housing market looks like for millennials in Montgomery County? GOVONISo, for starters, about Montgomery County, is one out of every five Montgomery County residents is a millennial. So, we are there. We have one of the oldest populations in the region, but there's definitely a millennial presence in Montgomery County. So, I just -- I think that hearing this comment, we kind of, at the Planning Department, we kind of look back at what our role in terms of preservation and production would be, and we think it's noble for the county executive to want to preserve affordable housing. That's really only one piece of the puzzle, that you really need to preserve affordable housing. But we really also need to produce a lot of affordable housing. We are down. Our building permits have been anemic for the past couple of years. We've yet to reach our pre-recession total for building apartments. And, also, we also looked at: is this really happening? Are we really knocking down affordable housing? GOVONIAnd the answer, quite frankly, is no. There's been six instances since 1990 where Montgomery County has knocked down market rate affordable housing and put up new developments. And two of them were actually projects with the county, Chevy Chase Lake and the Bonifant, which provided a lot of affordable housing. So, it's just not really something that's happening in Montgomery County. SCHAFFERSo, Alex Baca, you're with the Coalition for Smarter Growth. Tell me about, where is the misconception here? Even the language we're using, it's sort of you, quote-unquote, “preserve” affordable housing, or you build something else, suggesting that that would be unaffordable. But what I think Lisa's saying is what the jurisdictions need to do is just build more stuff. ALEX BACAI think, you know, that’s absolutely one component of it. And I don't think that we can talk about making housing more affordable without talking about producing more housing, which means building it. But that's certainly not the only part. You know, housing is a huge and broad scope. It's complex. It involves a lot of different issues. It involves financing. It involves zoning. It involves construction. There's not--it's a really, really hard thing to tackle. So, I think, you know, there's an instinct to simplify it, right, to make it digestible. And I also think that, you know, everyone has something that they consider home, right? And that's a really hard, emotional thing to unpack when you're talking about policy. Policy feels very impersonal, and your home feels very personal and intimate. So, I think, you know, it's messy. Housing is really messy, but that's okay, because in some ways, we have a lot of the answers. And it's not just building more. It's preserving affordable housing, absolutely, but certainly creating different types of housing for different phases of life, which is I think, you know, broadly the topic of the show today. ALEX BACAYou know, that there's just -- I think the understanding about housing has to start with the fact that it's very broad, and it touches a lot of different things, and so that does make it difficult to talk about in a neat package. SCHAFFERAll right, so what do you think are some of the misconceptions about millennials and housing that keep coming up? BACAI, you know, once again, a very broad point. I would say that I think nearly everyone wants a safe and healthy and accessible place to live. And I don't think that that is inherent to a certain type of person or a certain generation. So, you know, I--I'm a millennial, right? But I think, at the basic level, my housing desires are not terribly different conceptually than that of a lot of other people. You know, there's probably a lot of conversations to have about what data says about amenities that people prefer and how approximate they want to be to things and how they would like to commute, and maybe we can talk about some of that. But, fundamentally, I think that lots of people desire just a safe and accessible place to live that they can reasonably afford. SCHAFFERSo, one out of five residents of your county are millennial. Payton Chung, tell me about the economic conditions, broadly, of that generation, that cohort. CHUNGA lot of millennials are facing particular challenges with affording housing in our region both from an income perspective and also from a cost perspective. The cost of housing in our region has increased much faster than the cost of living in many other parts of the country, and also relative to the cost of living, generally. I looked up, actually, the price that my 1960s condo in southwest Washington sold for in the 1960s and compared it to new construction on my same block today. Even based on the same government paygrade, it would have cost a government payroll clerk 6.6 times their annual income to buy that condo in the mid-'60s. Today, a new construction condo on my block would cost 16 times the same pay grade. So, housing in our region has gone up in price much faster than pay rates have. And younger people who are entering the workforce that government payroll clerk at -- I forget the GS grade -- won't be able to afford to live in my neighborhood today, versus the 1960s. CHUNGSo, from an income perspective, millennials are facing a bigger spread between their income and the cost of living. At the same time, they also have -- also are coming into the housing market with a number of other challenges. One of the is student loans, that the amount of total student indebtedness in the country has increased very rapidly in the past 20 years, and DC is the region with the highest student loan indebtedness per capita. Another one is delayed marriage. A lot of millennials are putting off getting married. Obviously, having two incomes makes it much easier for a lot of people to afford housing. But now that the age of first marriage in this region is -- I believe it's over 30 for men now, versus in the 1960s, that would've been in the early 20s. That means that it's that much more difficult for someone in their late 20s to afford to buy a house in our region. SCHAFFERPayton Chung, short of buying a time machine, people have got to get creative. But one thing people used to do is the notion of the starter home. But you have written about this. That doesn't really exist anymore. CHUNGOverall, housing construction in America is nowhere near levels that it had been in previous economic upcycles. In fact, the number of housing permits that are issued across the country and especially in our region is at levels that we had seen in previous recessions, like in the early 1990s. It used to be that the standard path for a homebuyer through the course of their life would be they would rent apartments for a few years and then purchase a starter home, perhaps in that 200, these days $300,000 price range. A small house, perhaps a thousand, 1500 square feet. They would accumulate some equity in that house, move up once they'd started a family into a larger move up house, and then perhaps later in their life move down as an empty nester once the kids were grown into a smaller housing unit again. What we've heard from the home building industry is that the market for those starter homes has largely evaporated, that a combination of pressures, including the creditworthiness of young buyers, as I mentioned, who have a lot of existing debt because of things like student loans, but also have problems coming up with down payments, and are facing, since 2008, much more stringent mortgage underwriting standards. CHUNGThey're not able to purchase that starter home. That means that a lot of first-time home buyers are delaying or skipping that entire step of the process, renting for several more years until after they've married, had children and are moving directly into that move up-sized home instead. SCHAFFEROne sort of sociological question that comes to my mind. You know, we're talking a lot about needing to build new sorts of housing, needing to build denser sorts of housing. In the United States, in general, other than, I think, in Manhattan, I don't know that there's anywhere where living in an apartment is the sort of default, quote-unquote, “normal" mode of like middle class housing. When people close their eyes and think, you know, what would I ideally like they imagine maybe not anymore a big suburban spread, but at least a house of their own. Is that the kind of thing that can change? Because it will remain, always, very hard to have enough housing if people are going to really need to have a free-standing house. GOVONII agree with you. I think millennials are just now starting to entire their prime home-buying age. The average millennial is around 28 and 29 years. And it's something that we've been really looking at at the Planning Department. One of the things that we've been looking at is this middle-type of housing, which is a duplex, a bungalow court, a transitional housing from your dense, multi-family in your central business district and your single family detached zones. And it's something that we think could, you know, be more affordable just by the size. That, you know, they're a little bit more affordable because they're smaller, and also give an opportunity in a county where the average single family detached house is $700,000, maybe they will be able to afford this product. CHUNGWithin our region a lot of people think of row houses as the quintessential housing type. For people in many other parts of the country, when we think of the classic image of an American city, we might think of something like “Sesame Street,” that is a three-unit apartment building with accessory dwelling units for Oscar and Big Bird. So, there is a widespread notion of multi-family housing types being not just acceptable, but a key part of who we are as Americans. Even though we think of row houses as being very quintessentially DC, it's illegal to build a row house in half of DC because of single family detached-only zoning. It's commercial and park space. SCHAFFERSo, you mentioned accessory unit. What is that? GOVONII'll talk. So, accessory dwelling units are something that are coming up in Montgomery County. We recently had an ADU policy forum, and Councilman Hans Reemer sponsored a ZTA to kind of create more flexibility with accessory dwelling. And so, accessory dwelling unit is a subordinate dwelling to the primary dwelling. It has to be smaller. It has a separate entrance, and can be located in the basement, the attic, or it could be a separate dwelling unit in, you know, a separated garage, or another premise. SCHAFFERSo, these things as Payton notes, are illegal in most places, and that means that's sort of housing that you can't have. Why are they illegal? Who objects to them? GOVONIWell, in Montgomery County, accessory dwelling units are not illegal. In 2013, we actually made them available by right, which basically means you can go straight to the building permit process as long as you meet certain requirements, but those certain requirements are parking. You need to have two spaces for the primary and one for the accessory, which is not something you're going to find in down county. And then spacing, you need to be at least 300 or 500 feet from another accessory dwelling. And the result was we've only averaged about 30 accessory dwelling units per year. So, whether or not illegal, they're really hard to build, meeting the regulations. So, we're looking at creating more flexibility, reducing the parking standard, removing the spacing requirement, and also removing the requirement that you need a one-acre lot to do an attached accessory dwelling unit. BACAIn DC, legalized ADUs with the zoning rewrite, which was completed in 2016. So, to your question about who makes them illegal, you know, we have lingering codes that still govern what gets built in places. And they say what you can and cannot do. And so, when Payton says that row houses are illegal in half of DC, even though we conceptualized that as what a DC home looks like, that's a reflection of why, you know, pretty much what your city has said is okay to build. CHUNGDC's legalization of it was -- previous to the zoning rewrite, you were allowed to have an accessory dwelling unit in large parts of DC if it was for a domestic servant, which is a reflection of the kinds of class biases that went into prohibiting accessory dwelling units in the first place. GOVONISo, we do encode a lot of norms in our laws, including the laws that say what kinds of housing we can build. SCHAFFERAnd we will continue our conversation after a short break. Stay tuned. SCHAFFERWelcome back. I'm Michael Schaffer, from Washingtonian. I'm sitting in for Kojo. We're talking with a panel about multi-generational and housing needs across the region. We're talking about millennials, about seniors, about everything in-between. Matt Losack in Silver Spring has been on the line, waiting. He's the executive director of the Montgomery County Renter's Alliance. Hi, Matt. MATT LOSACKGood afternoon. How are y'all? LOSACKGood. Well, at least you're not being evicted today. SCHAFFERMatt, what can we do for you? LOSACKWell, I'm listening to the conversation, and I want to emphasize a couple of points. First of all, we really oppose this notion that you can build your way out of the preserving and protecting affordable rental housing. There's no way that the rental housing industry is going to build enough rental housing to lower their profits. What is happening is that we're seeing an increasing number of apartments being built that are well beyond the reach of people at lower income. We're also seeing rental prices -- that is, rents -- going up astronomically each year pricing people out of their homes. SCHAFFERSo, what do you think is a good way to go on that if you're looking to preserve affordable housing -- rather than being euphemistic about it -- if you're looking to maintain the status as a county where people at a certain income can afford to live? LOSACKWell, I think it's a mixture of programs. In the discussion -- which has not been a good faith discussion that's usually driven by the landlords and the developers and their lobbyists -- but in a good faith discussion, all of these remedies would come into play. No one opposes building new housing. 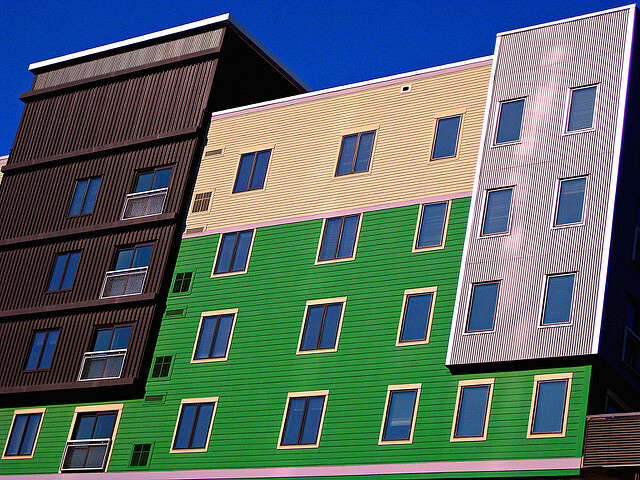 No one opposes building affordable housing if they're truly interested in building rental units that lower-income and middle-income families and individuals can rent. But what they're really trying to do is to come up with remedies that appear to be doing something, but really don't get to the heart of it. Accessory dwelling units are terrific, sure, but there are about 400 in the county right now. And if they doubled them to a thousand, it still would be incidental to the overall availability of affordable housing, and they would probably be concentrated in places like Chevy Chase. LOSACKThey are not really a solution to the affordable housing, preserving of affordable housing for renters in Montgomery County. We believe that rent stabilization is something that has to be considered. It only exists in Tacoma Park. We believe that you need policies that increase code enforcement, as County Executive Mark Elridge is pushing. And, by the way, the idea that Mark Elridge somehow opposes millennials is ridiculous. He misspoke, but there has been more greater renter champion in the county council -- and now in the county executive's office -- than Mark Elridge. So, it's kind of an obfuscation. But all of these policies need to be considered at once. SCHAFFERLisa, what do you make of that? GOVONII agree preservation is a very important part of affordable housing. I don't think we're discounting that. I think we're saying you need to do everything. You need to produce more housing, because that's how Montgomery County gets inclusionary zoning, which is really the only true way to get income-restricted housing. We need to create accessory dwelling units. We need to create (unintelligible). We need to do a little bit of everything to maybe help ourselves get out of the crisis, but just preserving units is not going to do anything. And one other thing is we looked at this data and Montgomery County has actually increased the number of units that they have affordable at market rate by over 4,000 since 2014. So, we are doing a great job by producing more housing. That's how filtering works, is these older buildings cannot compete. CHUNGI agree that lots of policies are needed in order to help preserve the affordable housing stock. When we talk about new construction, what we're talking about is more homes for a larger population, and our region is continuing to grow. It is continuing to add jobs, but we are not adding enough new homes to house the workers for all of those jobs. Compared to the 1990s, we built 25 percent fewer homes per new job in our region, and that is one big reason why housing prices continue to increase. The caller mentioned that accessory dwelling units might only create a couple of hundred new affordable units in Chevy Chase. That would be a tremendous increase on the number of affordable units that currently exist in Chevy Chase, which is, right now, infinitesimal. SCHAFFERThat's Payton Chung from the Urban Land Institute. We got a tweet from MocoMillennial. And the tweet says, "In a talk I had with Mark Elridge, the county executive explained that there is an excess of one-bedroom apartments marketed towards high-earning millennials, and moderately priced dwelling units for limited income brackets also has an excess of one-bedroom." Comments on Elridge's call for multi-bedroom apartments for expanded moderately priced dwelling units in different income ranges. What do you all think? Everyone's pointing at Payton. CHUNGI hear a lot of this about my own neighborhood. Again, I live in southwest waterfront, right next to Navy Yard, which has seen the region's largest influx of new apartments, recently. And a lot of neighborhood residents are concerned that there aren't enough large units for families being built. One of the reasons why developers are largely building zero and one-bedroom units -- also studio and one-bedroom apartments -- is because that's where the demand is. Sixty-six percent of households in this region, including mine, don't have children. But only 17 percent of units in this region are studio or one-bedroom units. Lisa? GOVONIOn another point. Montgomery County, specific example, is last year we passed bill 3417, which allows developers to count their MPD requirement based on a square foot basis. SCHAFFERWhat is an MPD requirement? GOVONISo, the MPD requirement is a mandatory set aside of 12-and-a-half to 15 percent of units to be affordable to households either earning 65 percent AMI. And so what a square foot basis countage does is it basically says all of your square foot that would be MPD use, so 12 and a half percent of that building could be just three bedrooms. If the market is only building zeroes, ones and twos, we can make all of our MPDUs three-bedroom units, and that's a great way to provide income-restricted housing for our families. BACAI would also add, to build off Payton's point, that when we restrict that available zero and one-bedroom, studio and one-bedroom units, then what you tend to see -- and this was documented very well in a paper by the DC Policy Center last year -- that you see people expanding to fill, in sort of a multi-family sense, whether with roommates or other sort of different arrangements, that family housing. So, building more studio and one-bedroom units, you release the pressure on those family-sized units. And it's really important to do that. I would love to see similar research for Montgomery County. SCHAFFERChris in DC has been holding for a bit. Chris, welcome to the show. CHRISThank you. This is Chris from Reasonable Development, and I'm wondering why folks who are pushing reasonable development aren't on this panel. Right now we have urban-ish, so-called urbanist views on their. Folks like from Power DC or the DC Grassroots Planning Commission should be part of this. SCHAFFERWalk us through this. What do you mean by reasonable development? SCHAFFERAlex Baca from the Coalition for Smarter Growth, respond to that, would you? BACAChris, thanks so much for calling. I do really appreciate your insight on this, and I think you've brought up some really critical points about how our planning process doesn't really allow space for some of the things that you're talking about. I know that a couple of us in here have been pretty deeply involved with the DC Comprehensive Plan Process, and so has some of your groups, and I'm thankful for your voice in that process. BACAI don't have a fantastic answer to this question. I will be honest. I know what we work with on the basis of how we do our work, as do many advocacy groups, and we have found that adding supply does help with an affordable housing crisis. It is by far the sole thing that we -- it is not the sole thing that we need to do to address that, and you've identified some really, really critical things. So, I do think that there's room for a broader conversation about whether it be rent stabilization or what types of units that we need. BACAThose issues are going to be ongoing, always, and I am so glad that we're able to have this robust and critical discussion about how our city should work. That's an amazing, amazing thing to see. So, I'm glad you're here, Chris. Thank you. SCHAFFERSo, I think there's this other generational component that I want to sort of bring us around to, and I want to bring in Andrew Yarrow, too. And especially in the suburbs, it's a challenge for planners. You know, a lot of the areas that boomed after World War II was driven by housing for young families who wanted single-family houses. That's not the case anymore, particularly not in Montgomery County. Lisa, you were involved in a study from the Montgomery Planning Department that found that the county's residents have grown older and more diverse in the past three decades. SCHAFFERThe incomes are stagnant, prices are rising. What are the ramifications of this, for housing? GOVONIWell, I think the ramifications for housing is as we grow more diverse and as we grow older, one of the things we found from our older adult housing study is that most Montgomery seniors want to age in place, about seven out of ten. About 40 percent of them have lived in their homes for over 20 years, and so what we need to do is look at diverse ways to meet our growing population that's growing more diverse, by 2040, 75 percent of the population will be majority people of color. So, we need to look at all types of housing, not just the regular single-family attached, single-family detached, and multi-family. SCHAFFERThat's Lisa Govoni from the Montgomery County Planning Department. And Payton Chung from Urban Land Institute, I think this is sort of where these two storylines come together. We have seniors looking for housing options. You had mentioned accessory units. We have people having a hard time affording to buy houses. Another word, a less wonky word for accessory units is in-law apartments, right? SCHAFFERBut how is the limitation on them, whether they're formally forbidden, or just so regulated that it's pretty tough to build them, how could -- how does this limitation affect the options for seniors or for people who want to be able to help underwrite their mortgage? CHUNGA lot of our zoning ordinances were written in the early 20th century, and they included definitions of families that largely excluded the idea of multi-generational households. Some of this was based on biases inherent at the time. A lot of people were concerned about, for instance, Southern European immigrants who often lived in multi-generational households. But this is something that especially a diversifying suburban counties like Montgomery, Fairfax, and Loudon are seeing a lot of their residents are hailing from places like South Asia, East Asia, and Latin America, where multi-generational households are common. CHUNGAllowing accessory dwelling units or in-law suites is a great way to allow seniors to age in their homes with their families nearby at the same time that the younger generation gets to live in a single-family house. SCHAFFERRichard in Bethesda has been holding. He says he's an older man. He's been priced out of the housing market. Richard, what kind of choices have you made to afford living there? RICHARDHi, Mike, thanks. I'm a retired firefighter, and I was priced out of the housing market in lower Montgomery County from the time I started my career in the fire department for the county. Bethesda's the area where my -- Bethesda Potomac is the area where my family settled after moving from Silver Spring. So, I have -- I made the choice in my 40s, when I was buying my first house, to live with housemates to afford the mortgage, and then to give up my automobile entirely. I've been car-free for 25 years. SCHAFFERBoth of the choices that Richard has made, that you've talked about, having roommates, not having a car. Those choices are, I believe, significantly easier than they might once have been. There are places where there's rules about roommates, and there's obviously a lot fewer places where it's really tough to live without a car. BACARight. I think down-county Montgomery County is one of those examples where it's a little bit easier to live without a car, to live with -- it's easier to find roommates, but I think if you were to go up a little bit, up-county, Germantown, Gaithersburg, Clarksburg, it's very hard to live without a car, and it's very hard to find roommates when, you know, the predominant housing type is single-family detached. GOVONIAnd I think that this really does speak to the -- how inextricably linked housing and transportation are. You know, I don't think that you can meaningfully talk about one without talking about the other. And so, you know, I think Richard's scenario very clearly lays out why that's essential. SCHAFFERAnd you're listening to the Kojo Nnamdi Show. I'm Michael Schaffer, from Washingtonian. We will continue our conversation about generational needs and housing in a moment. Stay with us. SCHAFFERAnd welcome back. I'm Michael Schaffer from Washingtonian Magazine. I'm sitting in for Kojo, and we are having a conversation today about housing needs in the region and how they vary by generation. I want to talk with Andrew Yarrow. You wrote a piece for the Washington Post Magazine. It was called “The Rise of the Grandfamily.” And one of the things you wrote about was Plaza West, which is this new apartment building in DC's Mount Vernon Triangle neighborhood, and it caters to grandparents raising their grandchildren. How exactly does the building work? ANDREW YARROWWell, the building is, first off, it's a brand-new building that opened this fall. It's entirely for grandparents raising children who can't be raised by their parents, children under 18, and there are 50 units in the building. It's a subsidized building, two-bedroom and three-bedroom apartments, with a range of amenities, activity rooms, community rooms, a small gym, outdoor spaces, playground, and it -- you know, also with a lot of wraparound services available to the residents, both the grandparents and the grandchildren who have tremendous needs. ANDREW YARROWIt is both heartbreaking and inspiring to get to know the families in this building. Most have suffered tremendous tragedies, and most of the grandparents are doing a truly heroic job raising these children whose parents are often incarcerated, have been murdered, or suffer addiction problems, have been abusive. So, this is a whole sizable population that's received fairly little attention, either from policymakers or from the housing community. SCHAFFERHow widespread a phenomenon is it? Is there good data on the number of grandparents raising grandchildren? YARROWThere is. There are about 2.6 million grandparents raising about 2.8 million grandchildren in America, a number that's gone up by about 15 percent since 2007, nationally and racially. And it's a mixture nationally, but looking at Washington and looking at Plaza West, it's an entirely African American population, and often are grandparents who really had, you know, few good choices for places to live, since subsidized senior housing and market rate senior housing does not permit seniors to have children living with them. So, it's a significant need. SCHAFFERIs this building unique in the country? YARROWThere have been a handful of others. There is one in the Bronx, grandfamily apartments, that's been around since 2005. There have been some other parts of buildings that have been rehabbed for grandfamilies in Boston and elsewhere, but they're relatively few. And I may have mentioned that there are only 50 units in this building, which, you know, most people who advise on grandfamily housing believe that there shouldn't be more than about 50 units. YARROWSo, when we're talking about the huge numbers, not all of them poor, certainly, but, you know, 2.8 million, 50 apartments here and there are, you know, meets a tiny part of the need, sadly. SCHAFFERAndrew Yarrow, talk a little bit about the services that are provided in this building. What are the special needs and how a single building is able to help meet them? YARROWSure. Sure. Well, first off, all apartments are accessible to those with disabilities. The apartments have provisions for families to age out, so when a grandchild hits the age of 24 -- it was initially set at 21 -- they're able to transition into subsidized housing in the building right next door. But within the building, there are things like activity rooms with computers for children to do homework. There is a playground and outdoor space with a small garden. YARROWThere's a gym. There's a community room on the top floor with great views of DC and the building is staffed around the clock, and it's a very safe neighborhood compared to where many of the grandfamilies have lived previously. SCHAFFERAndrew Yarrow is the author of a recent Washington Post Magazine story called “Rise of the Grandfamilies.” It talks about a building in Mount Vernon Square which is specifically built for grandparents raising grandchildren. Andrew, how did this building actually come about? YARROWOh, gosh. I mean, that's a long, long story. It started with a nearby church, Bible Way Church, and the late pastor, Smallwood Williams, back in the early 1990s proposed such a thing. And it took about ten years to start getting some partners together, Mission First Housing, a kind of cause-oriented developer out of Philadelphia, a minority-owned developer Henson Development and then the city to pony up money. YARROWBut the most difficult part was really finding the land and a lot of this goes back to even before the -- well before the 1990s, when highway builders in America, you know, basically built highways through African American neighborhoods. And they were about to build one through Bible Way Church, and Bible Way fought back very hard. And, in addition, there was surplus land near what's now I-395 going into the tunnel. And, you know, they fought the Department of Transportation particularly to get this surplus land to be able to develop a building there. So, this whole process took nearly 30 years for the building to actually be built and open. SCHAFFERSo, I would imagine if I was a private real estate developer looking to maximize profits, I would probably not build this particular building. Could you tell us a little bit about where government or society more broadly came into play, so that this was not just a market situation? YARROWOh, but you know, there certainly isn't a lot of money around for grandfamily housing, and one of the few pieces of bipartisanship that we've seen in the Congress, Congress passed and President Trump signed a bill this summer to actually look at the needs of grandfamilies raising grandkids, but really no money behind it for housing. SCHAFFERSo, Lori has commented on our website. She writes: people with disabilities are often forgotten in this conversation. Main Street has taken the lead in our area to address affordable housing for people with disabilities. This will hopefully become a model for communities across the country, #nomorebasements. Can you explain what that means? YARROWWell, for me or -- I'm sorry. SCHAFFERNo, I mean, the #nomorebasements. YARROWWell, I guess, essentially, not leaving people in some of the, you know, less-desirable housing. I mean, I had, you know, several of the grandparents tell me stories of, you know, their former housing, they couldn't go out at night. The streets were dangerous. You know, they'd hear gunshots at night. You know, the apartments were in pretty bad condition, not-so-great parts of the city. So, you know, to be able to move to a safer place and to apartments that are quite nice, two and three-bedroom apartments with these amenities in the nice part of town, whereas some of the grandparents said to me, you know, you can walk less than a mile down to the museums on The Mall. So, you know, very different from the kind of apartments that people, grandfamilies or others, with little money can afford. SCHAFFERAlex Baca from the Coalition for Smarter Growth, can you tell us a little bit about what are some other ways that planners or local jurisdictions can address housing needs of seniors, specifically? BACAThat's a good question. I think it goes back to some of the stuff that we were talking about, about what you're allowed to build and where. Loosening that means that there are more options and more places. I know that sounds a little bit mealy mouthed and really broad, but fundamentally, you know, we do sometimes restrict uses in places and if we especially want to build things that are close to transit, close to grocery stores, then it means taking a look at what's available and how we can change that. BACAI do think that specifically programmed buildings like this one in Mount Vernon Square are awesome. They're awesome, right? This is such a cool project, and I would love to see more of it, but Andrew's right. The financing for that is very challenging. So, when that becomes more of a political priority we might see more money funneled into that but that is, you know, that is politically-driven also. CHUNGSomething that a lot of the family's in Andrew's story mentioned was really great aspect about living at Plaza West was that they could walk to the grocery store. And making it possible to build aging-friendly elevator buildings near grocery stores, supermarkets, especially along a lot of the distressed commercial corridors that we see throughout especially suburban parts of our region could be a great way of providing more customers within walking distance for sometimes-struggling retailers, but also providing a more ageing-friendly alternative to the basement apartments or to single-family houses with lots of steps that a lot of people find themselves aging in. SCHAFFERSo, that all sounds super-reasonable. Lisa, is there challenges in actually making it happen? GOVONIWell, I mean, I agree. Only 15 percent of Montgomery County seniors live in age-restricted housing. I think that, you know, the financing is challenging. I think there's definitely demand and, as Montgomery County ages, we will definitely see more Montgomery County senior renters. You know, for -- the county for us, we recently completed this project called The Bonifant in downtown Silver Spring. GOVONIIt's going to be literally next door to the Purple Line, next door to the library. But one of the things they did to cut savings is there's no parking. I think there's, like, three parking spaces because they found that structured parking is, you know, astronomically amount per space, like, $30,000 a unit. So, I think things like that that we can get creative with housing our seniors will be, you know, really necessary as the county ages. SCHAFFERPayton, I need to ask. We've spoken about millennials and seniors, but where do Gen X and younger baby boomers fit into this local housing ecosystem and you're all looking at me and sort of giggling. How are their housing needs shifting as they grow older? CHUNGBaby boomers are -- the fact that we have so many baby boomers who are moving into their '60s and '70s right now is one reason why we're having such an urgent conversation around adapting our housing stock to the need of older Americans. I'm actually Gen X, and sometimes, indeed, I feel a little bit between the two groups in terms of how I understand my own housing options. CHUNGSurveys have shown that Gen X homebuyers have very similar preferences to millennial homebuyers. Both of them are willing to spend more to live closer in location with access to shops within walking distance. SCHAFFERIs there a tension here between some of the things we're talking about and actually preservation of what's there now, of historic preservation? BACAI don't think that there needs to be. I love to talk about housing in terms of abundance and not in scarcity, right? And I think that we have more than enough room to both preserve what exists and create space for people who are here, people who might be here in the future. It may require shifting our norms a little bit about what we think is acceptable. That goes back to the idea that outside of Manhattan, do people really raise families in apartments? BACAThat's a great example of a question about a norm, right? BACABut I don't think that those things are in tension with each other, whatsoever. CHUNGOr, as Lisa mentioned, parking is another one that -- another point where we may have to think a little bit differently. I know in Arlington and Alexandria there's been a lot of attention paid to the older apartment complexes that have lots of surface parking and that new construction within that area can allow new homes for new residents, as well as preserving existing homes for existing low-income residents. GOVONII think we have to start looking at things differently. I mean, Montgomery County is 82 percent built out, so we're going to have to look at parking lots and infill and all those new options. SCHAFFERThat is Lisa Govoni. She's a housing planner at the Montgomery County Planning Department. This is going to be a big subject in the next few years, I suspect. Payton Chung, a Director at Urban Land Institute and an editor for Greater Greater Washington. Alex Baca, Engagement Director for the Coalition for Smarter Growth. SCHAFFERThank you all for joining us. And Andrew Yarrow, who wrote this terrific Washington Post magazine story called “The Rise of the Grandfamilies.” Thanks for being there with us, as well. BACAThanks so much for having us. SCHAFFERAnd today's conversation on regional housing was produced by Mark Gunnery. Coming up tomorrow, drunk driving deaths in the Washington region spiked after 2017. They're accounting for nearly one-third of all traffic fatalities. We'll look at the data, which was released this month, and discuss what can be done to curb these deaths. SCHAFFERPlus, the federal government shutdown came to an end last week, but the mental health side effects may last even longer for once-furloughed employees. We'll discuss office resiliency and how federal workers can manage stress during difficult times. That's Thursday at 12:00. I'm Michael Schaffer, sitting in for Kojo Nnamdi. Thanks very much.